The campaign also features an original music video produced by Kenyan musician and DJ Blinky Bill (pictured), inspired by contemporary African electronic club music. The short films produced by the BBC (British Broadcasting Corporation) for Emirates, tells the stories of unique individuals from different parts of the continent. "It is impossible to ignore the energy and talent coming out of Africa today, whether in music, fashion, sport or art," said said Boutros Boutros, divisional senior vice president – corporate communications, marketing and Bband, Emirates. "We’re seeing a greater awareness of a strong, proud African identity – while being very connected to a broad, global culture. "We wanted to join the conversation and celebrate amazing, inspiring stories of people constantly pushing boundaries and challenging African stereotypes. "To us, that is what travel is about, to find a common ground that helps us connect, to question, to be curious, and I believe this campaign does just that in taking Emirates closer to the heart of our audience in a way that is authentic." Nairobi-based "Blinky" Bill Sellanga - Kenyan musician, producer and DJ is the embodiment of a renaissance in African music. As part of the Kenyan art and music collective ‘Just A Band’, he has been redefining the modern African musical identity and has performed his music all over Africa, Europe and the rest of the world. Shanelle Nyasiase is a 21-year-old South Sudanese model who was born in Ethiopia and raised in Kenya. She had dreamt of becoming cabin crew, but her journey took her to international catwalks in Milan and New York instead, where she has worked with some of the biggest international fashion brands. 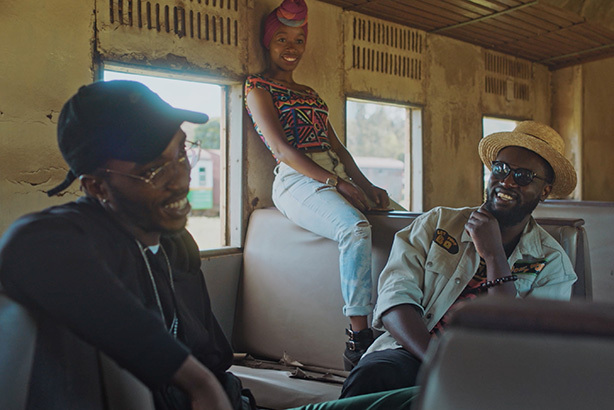 The campaign also features an original song with energy-filled music and inspiring lyrics that reflects the beats of contemporary African electronic club music, produced by Blinky Bill. Richard Pattinson, head of BBC StoryWorks said: "This new series taps into the deep creative strength of the BBC to deliver a campaign that will capture the attention of our extensive and premium audiences in a way that no other publisher can."